A recent story out of Texas shows that a doctor fraudulently billed as much as $240 million resulting in $50 million to himself. The attached story highlights how he was able to pursue an "opulent" lifestyle as a result. Particularly troubling is the fact that he would misdiagnose patients, provide unnecessary treatments, then if a patient questioned him, he would dismiss them from his practice. Such actions no doubt led to unnecessary delays in treatment and needless danger to his patients. Our firm handles medical malpractice cases of all kinds. In many of these cases, we find out that doctors who have committed medical negligence in the past have cut deals with state licensing boards, made confidential settlements, and moved from state to state in order to stay in business and continue practicing medicine. Patients are continually put at risk by such actions, particularly when a doctor insists on confidentiality to pay injured patients for the harms the doctor caused. Medical fraud can lead to catastrophic results for patients. If you or someone you know what injured by a doctor and you are not sure where to turn, give us a call and we will let you know if we can help! 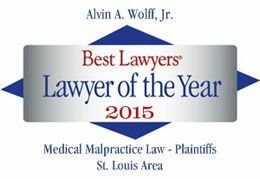 Click here to read more about medical malpractice and what we can do to help!